The European Commission, through its Education, Audiovisual and Culture Executive Agency, started in 1989 a programme under the name of Jean Monnet Action, aimed at fostering worldwide the teaching, research and reflection on those issues related to the European Integration Process at the Higher-Education- Institutions level. 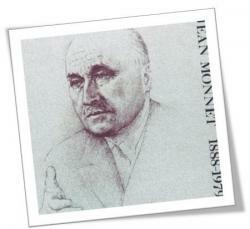 The Jean Monnet Action encompasses a series of programmes and projects of different nature, such as the Centres of Excellence, Jean Monnet Chairs, Jean Monnet Modules and dissemination and research activities, as well as other measures to support those teaching and research networks in the European Integration field. The Jean Monnet Seal is guarantee of academic excellence, since Jean Monnet Projects are granted according to their academic merits and after a thorough and individual assessment carried out by experts. There are more than 150 Centres of Excelence, 825 Chairs and more than 1,000 Modules and Permanent Seminars accross the world (1990-2010).The work of more than 1,500 lecturers makes it possible that approximately 500,000 students benefit from these activities every year.